Dr. Newton could easily have spent his entire life in the small-town of Pendleton, South Carolina where he was born in 1848. He served as a soldier during the last year of the Civil War, in the Confederate army, when he was only 17 years old. This could have been an experience to sour his view of fellow Americans living in the northern states, but he became a model of intercultural understanding and the best Christian ideals. After the war, J.C.C. Newton attended the Kentucky Military Institute, and was ordained as a minister in the Methodist Episcopal Church, South in 1874. Dr. Newton served several churches in Kentucky for ten years, and then went to Maryland, where he studied at Johns Hopkins University, where the famous Japanese thinker, Nitobe Inazo and Woodrow Wilson, who would later become U.S. President, were among his classmates. Even during this graduate study period, Dr. Newton served a church in Baltimore, Maryland. It was during this time that Dr. W. R. Lambuth and his wife, Daisy, were trying to encourage young Americans to join them in mission work in Asia. Daisy Lambuth wrote to their home church, “Are you all dead? Is that the reason you do not come to our help?” Evidently, these words inspired Dr. Newton and his wife, Lettie, to consider working abroad. They reached Yokohama on May 21, 1888, with two daughters, Ruth and Annie. Sadly, the Newtons lost their one-year-old daughter Annie on September 17, 1888, less than four months after they arrived in Japan. 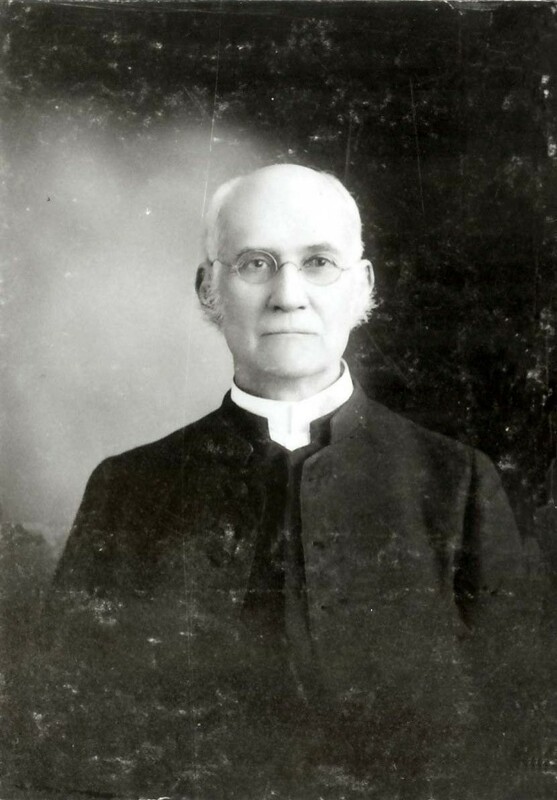 Newton had been appointed to the Philander Smith Biblical Institute, Tokyo, which was run cooperatively by the Methodist Episcopal and the Canadian Methodist missions. The Southern Methodist Church was to join this management. Two months after their arrival, Newton visited Kobe and wrote to his wife, “I have never seen men more zealous than the Drs. Lambuth. They are unceasing in their labors by day and night.” One year after arriving in Japan, the Newtons moved from Tokyo to Kobe, where they joined the Lambuths and others to begin Kwansei Gakuin in 1889 with just a handful of students. Dr. Newton served as the dean of the School of Theology, a position which he held for many of the years he spent here. After founder W. R. Lambuth left Kwansei Gakuin at the end of 1890, Newton remained at the institution to impart the founder’s spirit and build a firm foundation, and eventually to become the third president. His deep faith and emphasis on scholarship established a firm foundation for Kwansei Gakuin and the School of Theology. Many of the early Methodist leaders of Japan were students of Dr. Newton. Newton’s students admired the foster father more than they had the true father. He called them “Brother,” in a warm tone. By contrast, C. J. L. Bates, the fourth president, addressed the students formally as “Gentlemen.” “All present!” Newton would say joyously each time he took the roll call, even if two-thirds of the class was absent. It was said that Newton’s evaluation depended on how many times a student had written the word “God” in his examination paper. Although poor health – both Dr. Newton’s and his wife’s – forced them to spend 1897 to 1904 back in the United States, they then returned to Kwansei Gakuin until 1923 when they were both 75 years old. In 1916, Dr. Newton reluctantly agreed to serve as president of Kwansei Gakuin after the long, capable leadership of Professor Yoshioka. His tenure as president was less than four years, but he worked hard to prepare for Kwansei Gakuin’s qualification as a university and to adapt to changing needs both inside and outside the school. He also supported the Canadian, Dr. C.J.L. Bates, who became his successor, and served for twenty years as president. When officers from the Students’ Union claimed that Newton was too old to be president, he asked them to help such an old president as he by praying with him and supporting him until the next one could be elected. The more mischief students raised, the more kindness Newton would show them. He never scolded them for not attending the chapel, and he paid individual attention to each student – even though he was so absent-minded that he could never find his own umbrella among others in an umbrella stand. In the face of such kindness, even the Middle School students, who were at the most mischievous age, would reflect on their misdemeanours and try to be better behaved. Throughout his career, Dr. Newton worked hard to bring understanding between his home country and his adopted country, Japan. He wrote books and articles introducing Japan to the English-speaking world. In Japan, his humility, quiet leadership, and sense of ethics were appreciated, not only by those in the Christian community, but by government officials and business leaders in Japan. Just before his death, a representative of the League of Nations visited Dr. Newton in Atlanta to ask advice on an international matter, demonstrating that his global perspective was respected very widely. Article compiled from material written by Yuko Ikeda and Ruth Grubel.